Delta 13 appears to be a science-fiction horror/suspense story along the same lines of Alien and Prometheus and based off of that alone; I was on board coming into the issue - assuming that it would be executed well. The inaugural issue of the story does a decent enough job setting up the plot, establishing how the characters interact with each other, and constituting the tone that will encompass the story but for the first issue of a new book, I feel that it could have done a better job grabbing and holding the reader's’ attention. The entire book felt as if it were the first ten minutes of a movie that you have seen over and over. IDW’s Delta 13 follows a small crew of space workers tasked with dropping “crawlers” for exploration purposes onto designated asteroids. The group of characters eventually run into a bit of unexpected trouble when they come in contact with a previously undetected asteroid. Again, this is a decent enough plot to pique my interest and curiosity. 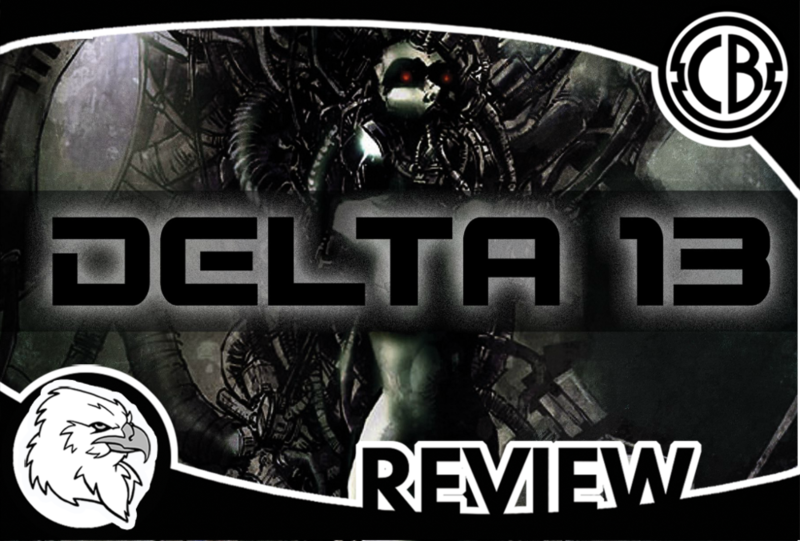 However, Delta 13 #1 does not do much to separate itself from its’ predecessors. While all of the plot begins to unfold throughout the issue, the reader is treated with semi-entertaining character moments that serve as a way to humanize the unforgettable characters. Just like every other story you’ve seen like this, a character goes away from the team for a bit to call home to see and call their family back on earth, while another pair goes off to entertain themselves on their journey back home. While these run-of-the-mill character moments are not bad, shouldn’t we have gotten something a little bit more memorable, or something more engaging to distinguish the characters from others - especially since it's the very first issue of a new title? While the cookie-cutter moments for these characters are an issue, I believe that it may be due to the story be written for the trade paperback. For example, the cliffhanger of the book is not even necessarily a cliffhanger. At the end of the issue, I was left wondering if there was more to the issue. Upon viewing the final page, I literally asked myself, “Is that it?” However, I think that the book would read better in its’ entirety, without having to wait a month to see this non-cliffhanger pay off. Another issue with the book is that, for the most part, the characters are indistinguishable, and, I believe that falls on both the writer and artists’ shoulders. I had a hard time determining who was talking to who. Names like “Hodges,” “Wood,” and “Sanders” are thrown around in dialogue, but for a while, it was just a toss-up on who each character was. Also, two of the characters look exactly alike - the only thing separating them is the bridge of their noses. What also doesn’t help this challenge is the colors. While the colors do help convey the tone of the book and the darkness of space by the characters only being illuminated by their spaceships technology and computers, the constant usage of blue, then red hinders the ability to tell the difference between the bunch. With that being said, this is not a terrible book by any means. In this case, the book is more “forgettable” than anything, and I think that allowing time for the book and the writer to stretch their legs, get comfortable, and flesh out the characters a bit more, I think that this may be an enjoyable book. Regarding Delta 13, I am on board… for now.